What does this error mean and how can I install this? I am running Version 1607 (OS Build 14393.321). 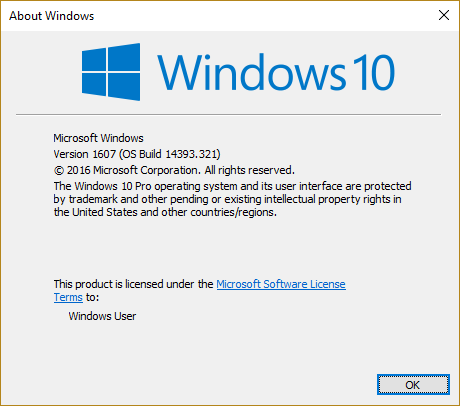 The application required joining the Windows Insider Program and installing the latest Windows Insiders build (Build 14800 or greater). So, as it suggests, you need to update your Windows to the latest Insider build, which should (currently) be at least build 14800. When submitting an app to the Store the "requirements" selection only includes certain build numbers to select from. So they probably chose the highest one they could but, as noted above, put extra instruction/specifics in the Description (in the same place they say that you need to belong to the Insider Program). Not the answer you're looking for? 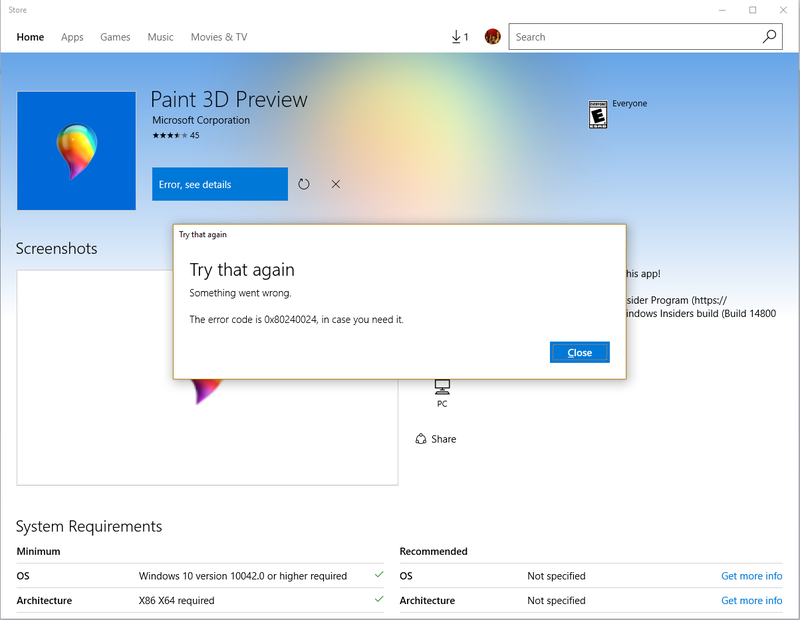 Browse other questions tagged windows-10 windows-insider paint-3d-preview or ask your own question.